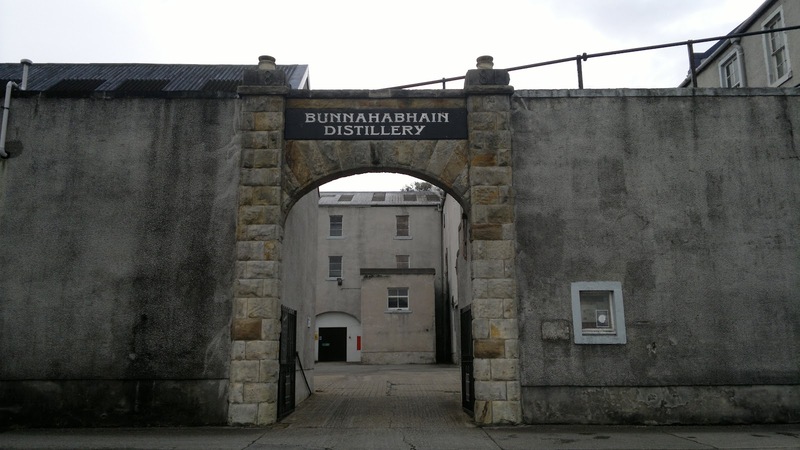 Bunnahabhain is often overlooked in favour of other Islay distilleries; solid yet unspectacular in some eyes, it consistently delivers characteristic malts that are a world away from its island rivals. 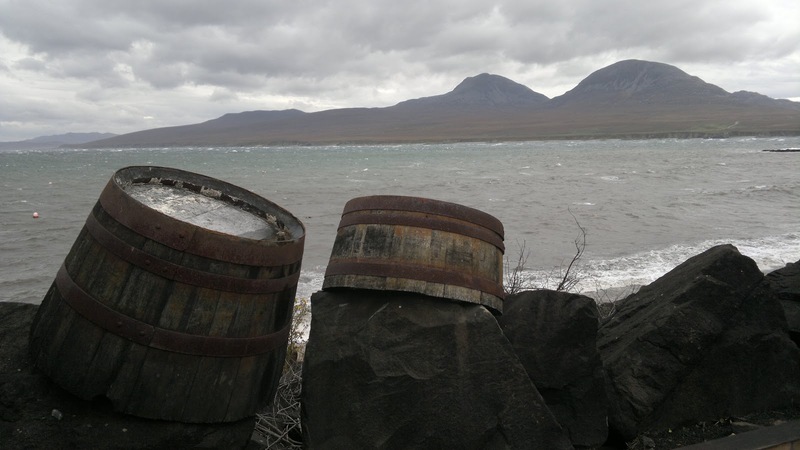 The distillery location is very remote and wonderfully wild and rugged scenery dominates the 4 mile drive towards its coastal location. 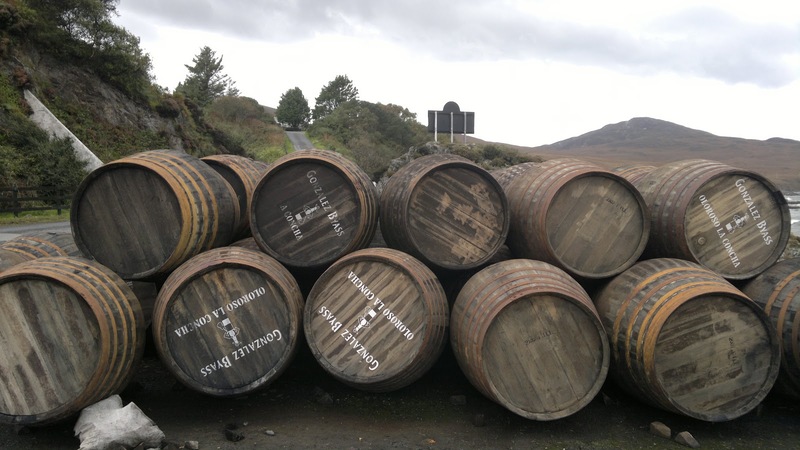 The road to the distillery is just before the turn off to Caol Ila. 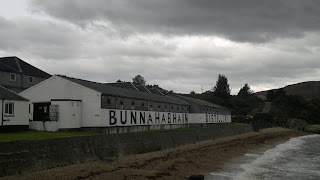 Whereas the Diageo distillery has been levelled and rebuilt in a 1970's industrial style, you can see that Bunnhabhain is traditional and perched on the coastline is a magnificent sight, particularly when we visited on a stormy day. As with many distilleries, the coastal location used to ensure easy transportation. Even today its probably easier than the rally cross single track road that leads to this malt. I'm a big fan of Bunnhabhain, their 25 year old is a splendid dram if you have the opportunity to sample it and I'm still working my way through the excellent Bladnoch forum bottling, which is a 22 year old. Given our tight schedule on Islay, Bunnahabhain was the other tour I could not take, which is a real shame. It will be one I will take one day that's for sure. I did manage to drop into the distillery shop and congratulation them on their malt, watch some casks being delivered, before heading off to Bruichladdich. 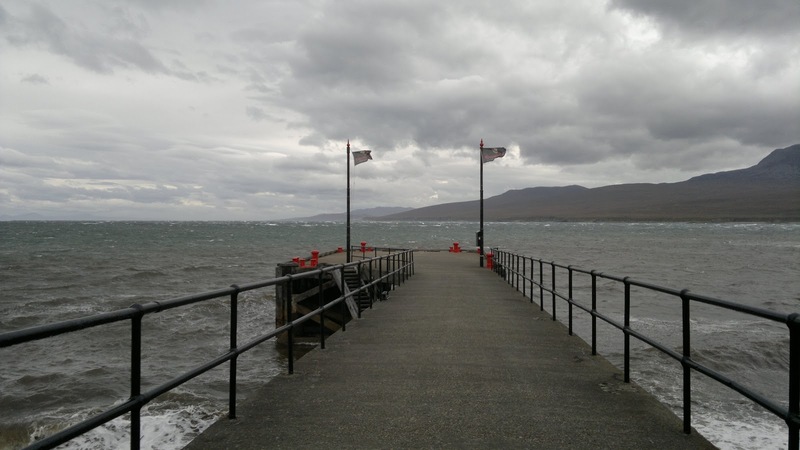 Don't make the mistake that many do in overlooking Bunnahabhain; check out their whisky and do drop by their wonderful location. Failing that just open up the senses and take in that salty, sea air! 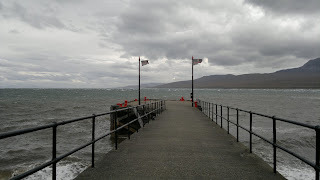 As always all of my photographs are available here to view, so take the virtual tour with a dram and enjoy. We're on the home leg now of my Islay tour - we have a trio of excellent tours left, each totally different with some real treats in store. The trio is Bruichladdich, Laphroaig and the expensive, but fabulous Bowmore Craftman's Tour.